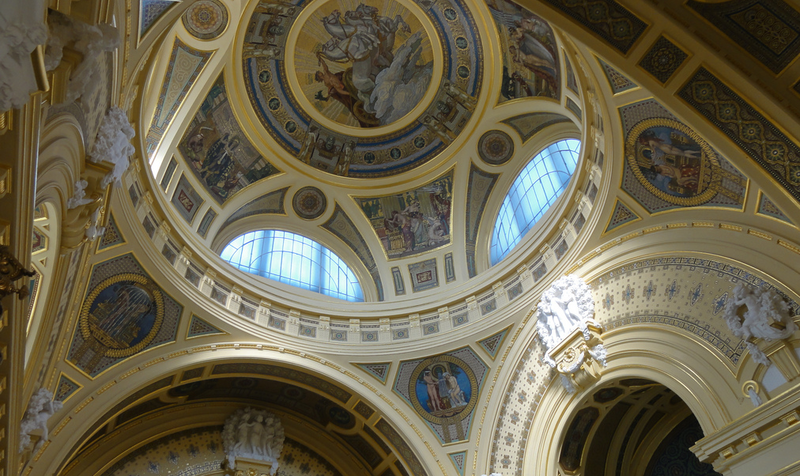 Home / Blog / Misconceptions about Szechenyi Baths: Turkish Baths? 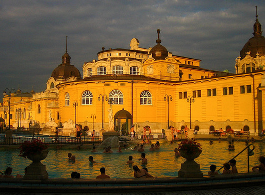 Misconceptions about Szechenyi Baths: Turkish Baths? 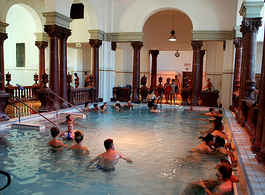 One of the most common misconceptions about Szechenyi Baths Budapest is that it is a Turkish bath. 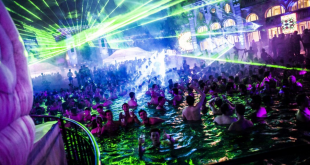 To put it shortly, Szechenyi Baths is not a Turkish bath, but there are several still functioning beautiful Turkish Baths in Budapest, Hungary, like Rudas Baths or Veli Bej Baths. The Turkish baths were built along the river Danube in the 16th century, in a time when the Ottoman Turkshad powerful armies threatening Europe. Each of the historical medieval Turkish baths in Budapest has an octagonal pool which was the centre of the 16th century Turkish bath facilities. Szechenyi Baths, on the other hand, was built between 1909 and 1913. Its makeshift predecessor building was something like a bigger family bath hut in the City Park in the 1880s. So if you do the maths, Szechenyi Baths was built centuries after the Turkish armies left Hungary (lost the battle of Buda against the modern Austrian armies, which literally dilapidated the Buda Castle). The medicinal healing spring waters which supply the thermal pools of Szechenyi Baths were found at the end of the 19th century by Vilmos Zsigmondy in 1878. 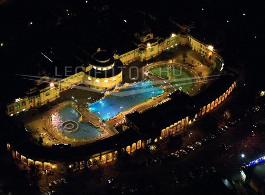 More info about the water composition of Szechenyi Baths here. 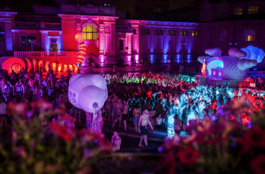 Quiz about Szechenyi Baths: True or False? 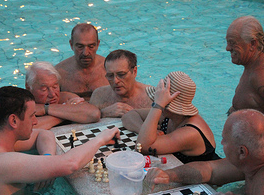 In this video, some tourists are not only enjoying the outdoor pools of Szechenyi Baths, but are also playing a video quiz game: is it true or is it false about Szechenyi Baths and Pool?